How can we as urban planners take solar energy seriously in the urban planning process? 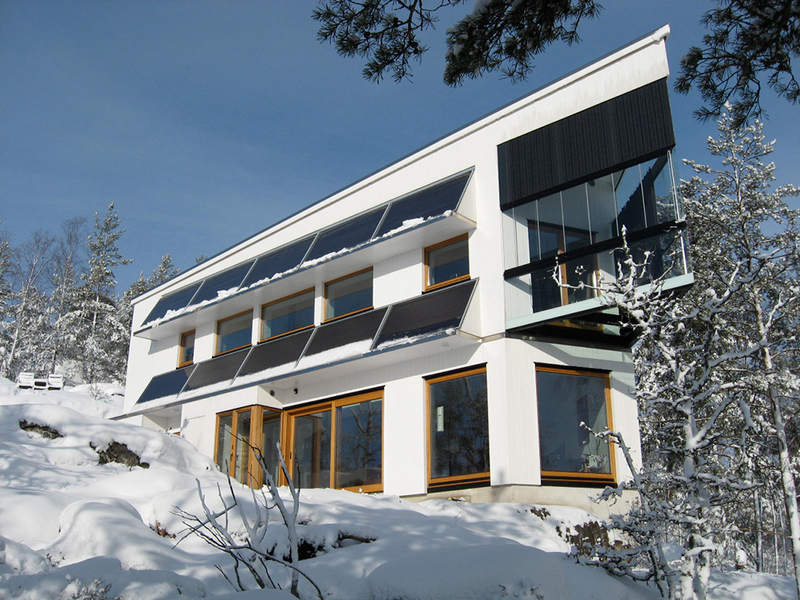 Future buildings will need to comply with the EU directive on the energy performance of buildings, and should, next to consuming a low amount of energy, produce on-site renewable energy (exactly how this is going to be implemented and which energy requirements will need to be met is still unclear). Solar energy, either PV or ST, is one way of producing this renewable on-site energy. A zoning plan can determine the local conditions for using solar energy of a building. Blocking the solar access by adding a new high building tower will lower the energy output of existing solar systems. The urban planners should therefore consider solar energy as one of the –many- parameters in the urban planning process. 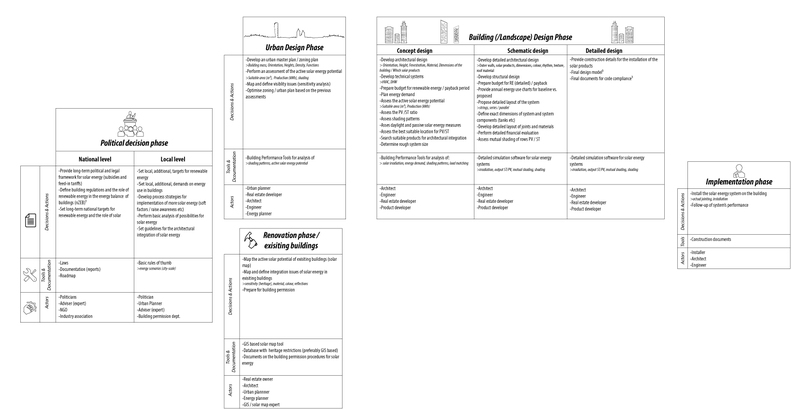 With help of tools and guidelines; urban planners, architects and real estate developers can make better informed design decisions and some of these tools and guidelines can be found on this website. The urban planning phase has connections to the political decision phase on the higher scale, and to the building and implementation phase on the lower scale as can be seen in this process map. Decisions made on all levels have a certain impact on the actual implementation of solar energy in buildings. The political climate will affect the conditions by providing legal frameworks for subsidies and feed-in tariffs, but local politicians could for instance set the density of a zoning plan which affect the local conditions for solar access. Real estate owners planning to install solar energy systems on their roofs and / or facades need to comply with the rules on the appearance of such systems and how well they fit it into the existing buildings. Also, so-called solar maps can provide the incoming solar irradiation on all existing buildings within cities. An example can be seen here. A video explaining more about solar energy in urban planning and architecture.